Big improvements in quality and refinement over previous Leon. Great to drive with sharp handling. Good value. Shares same base as latest A3 and Golf. Only top models have fully independent rear suspension. 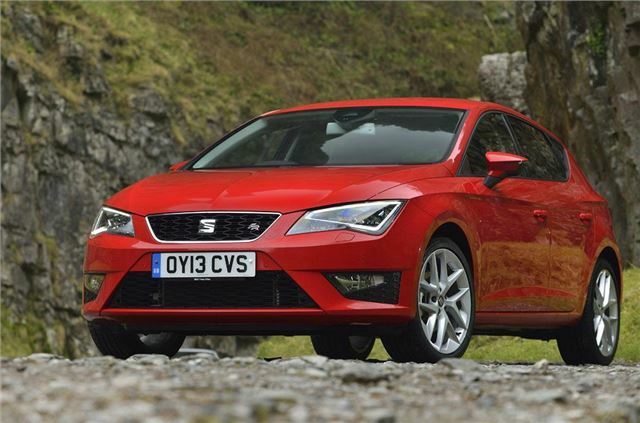 Report of turbo actuator of 2015 SEAT Leon 1.4TSI 150 FR failing three times in 28,000 miles. 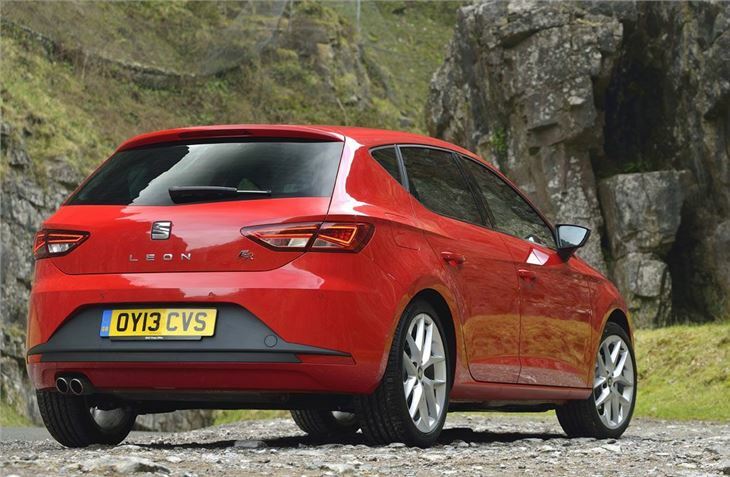 This is the third generation SEAT Leon. It builds on the reputation of of the previous two generations, by being good value for money and fun to drive, but has a higher quality interior and more attention to detail. 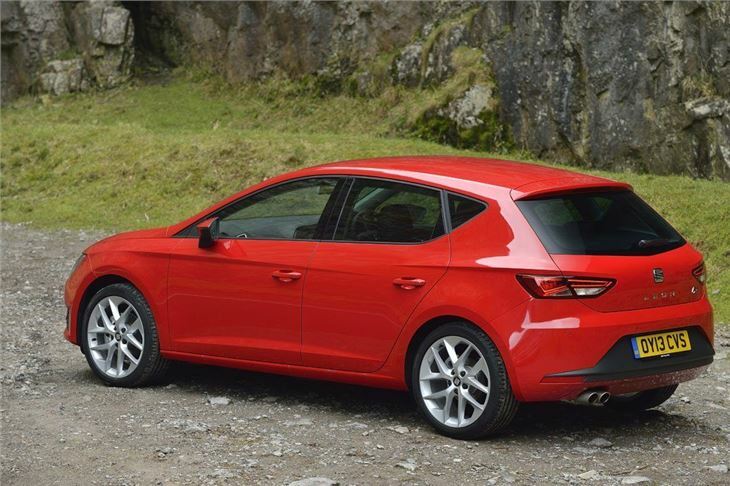 It shares up to half of its underpinnings with the Volkswagen Golf and Audi A3 and as a result uses a wide range of Volkswagen's latest petrol and diesel engines. The Leon is available with the now familiar four-cylinder TDI and TSI units all featuring direct injection and turbocharging. The version powered by a 1.6 TDI diesel with 105PS is the cleanest model in the range (for the time being) and thanks to a start/stop system and brake energy regeneration it averages a claimed 74.3mpg with CO2 emissions at 99g/km meaning zero VED. 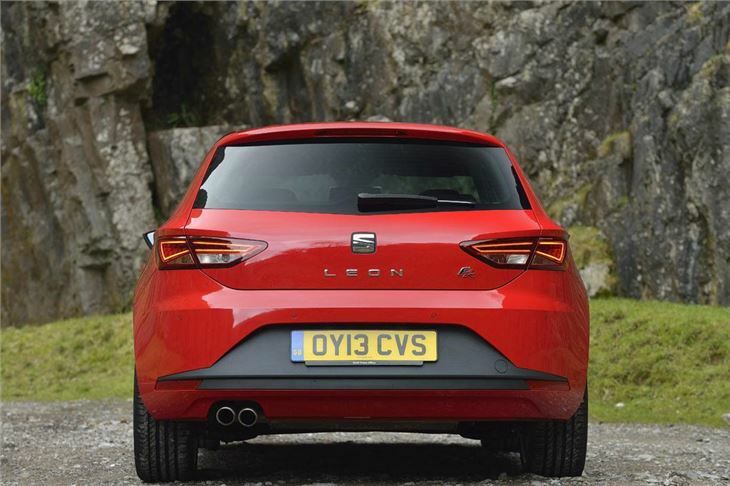 Out on the road, it's good to drive with sporty handling and good agility with the Leon FR getting a new SEAT Drive Profile which lets you vary the characteristics of the steering, throttle response and the engine sound via a sound actuator in the exhaust. Other new system include a drowsiness detection feature, Full Beam Assistant, which switches automatically between full and dipped beam and the ‘Heading Control’ lane-keeping assistant, which makes slight corrections to the steering to prevent the driver from crossing over lane markings. 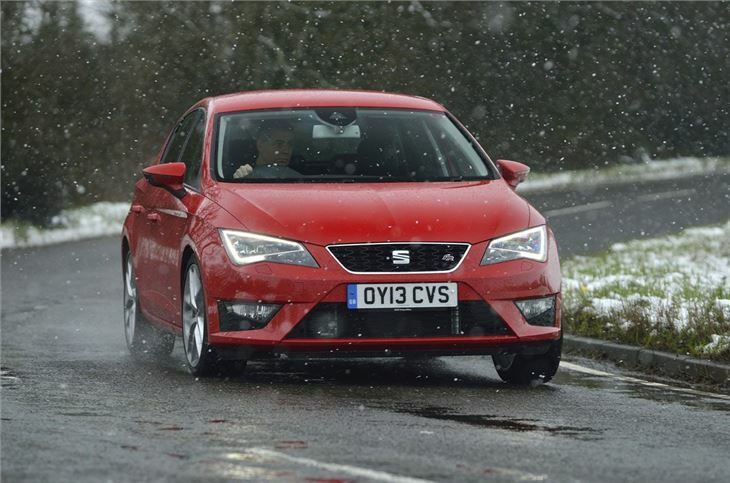 SEAT has made big improvements inside, an area which has often been the focus of complaints on previous. 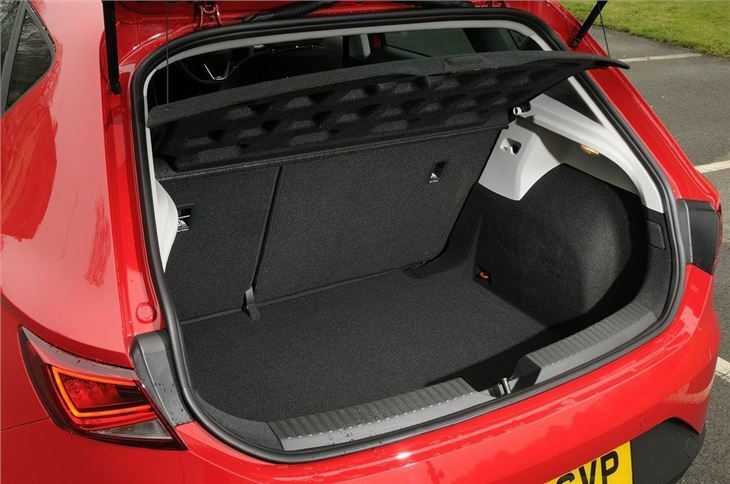 The fit, finish and attention to detail as good as a Volkswagen Golf and better than many other cars in this sector. It's simple and unfussy and comes with a new 'Easy Connect' operating system, which controls the entertainment and communication function via a touch-sensitive screen. Great to drive, comfortable and well equipped. It just does everything you need effortlessly.